You might be forgiven for thinking a newcomer to social media could within one year score an absolute coup, not only above the biggest TV event of the year, but for causing quite a stir for a tour that’s had not a penny of advertising spent on it. Well, that is Prince for you – he who has turned ‘organic’ event management into an art-form. Remember in 2010 when he shunned the internet and held it to account for killing music. 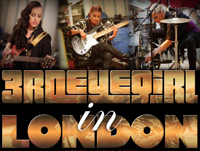 In 2013 he opened shop again, this time at a new lair called 3rdeyegirl.com. The site’s name was taken after that of his all-girl group, Donna, Hannah and Ida, who in the spring Prince took on the road across the US west coast for their introductory Live Out Loud Tour. Well, we all got wind of and thought the release of their debut album, Plectrum Electrum would be out imminently. But nothing came. Sporadic European festival appearances across the summer of 2013 saw us arrive into 2014 with still no sign of an announcement. But there the real surprise happened; Prince himself took to posting their tweets on the @3rdeyegirl Twitter page. 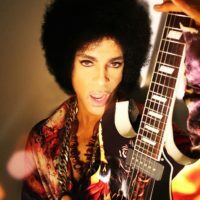 Prince may be a late comer to Twitter but he has certainly taught the more established tweeters on what social media and a fair degree of self-promotion can truly yield. U2 may have sandwiched a commercial for their new track in the Super Bowl airing, but Prince really stole the march by making a cameo in the sitcom New Girl aired right afterwards and all the talk was about Prince and gossip of a series of hit n’ run shows in London. While London went into a buzz, wondering where Prince was in the city having arrived the previous night. 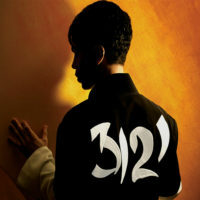 Prince was in Hackney to record an announcement in the living room of new friend Lianne La Havas. Fans camped out in the rain. 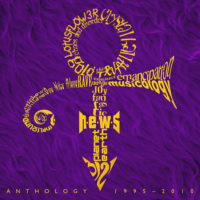 National news picked up the story and now the streets are abuzz with news of Prince’s London tour. It’s a funny thing that no matter where he turns up in the world nothing generates as much excitement as when he turns up in London. For this trip he has picked some ‘iconic’ venues, but for fans it’s destined to an experience ranging from the farcical to the sublime as the venues are said to be tiny and tickets scarce. Pity, because should he do larger venues, considering the momentum generated, he might easily fill another 21 arena shows as per 2007’s Earth Tour. But maybe this time the purpose is to promote the album than the tour. Prince and information have always been strange bedfellows. He may have shown other musician’s the path to promote their music, as he has done so differently with each release, and we thought he was a late comer, even a bystander of social media, but for many fans the queue and hope mindset is a little too much to see a tour which boasts considerable demand but at the time of writing, precious little prospect of meeting it. 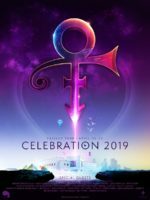 Read our unique and complete Prince biography, charting his life, early career success, split with Warner Brothers, resurgence as an independent artist, and his shocking and untimely death in 2016.